Yep. It's Meta Knight. I'm no good at coloring, so this is just pencil. His feet are a little funny. You are very good at drawing Meta Knight! this picture is great!The cape is especially drawn good. 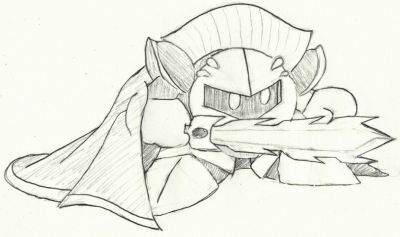 Drawing Meta Knight always troubles me. the detail on the cape is amazing! the feet seem a little funny because they look a little big..